When I was a kid growing up in the 80’s & 90’s, I was a sports junkie. I loved playing sports, watching sports, and talking about sports. Sports was just in my blood. If you came to my house and went in my room, that would be confirmed by looking on my walls. Sports posters of all my favorite players plastered every square inch of my room, even the ceiling. Although the majority of them were Laker players and Ken Griffey Jr, who is the greatest baseball player to ever play the game (don’t even try and argue), I always had a favorite Costacos Brother classic up somewhere. 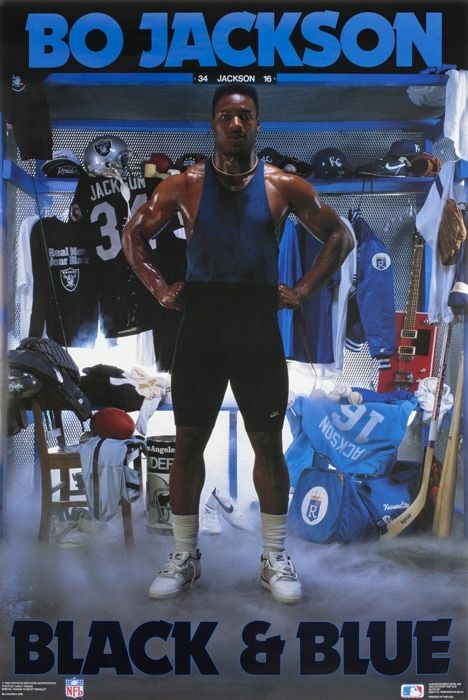 From the late 80’s to the early 90’s, sports posters really took off and became popular. You’d see them at friends houses, sports restaurants, and of course on display in those big plastic frames that you could flip through at pretty much every baseball card shop in America. You’d see all different types made by different companies, but hands down the most popular posters that everyone wanted were made by The Costacos Brothers. They had a theme to them that no one was doing at the time. They were different because they made characters of the athletes. They gave the athletes nicknames, or highlighted the nicknames that they already had. Their photography was creative and it separated them from everyone else in the business. Athletes wanted to be on a Costacos Brothers poster because you knew you made it if you had your own poster. The Barry Sanders “Silver Streak” was one of my favorites that I still have to this day. Another one of my favorites was the Shawn Kemp “Reign Man”. What was so creative about these posters was how well they connected the poster name to the player, or his team, or a movie or TV show from the current culture. From “Chicago Vice” with Walter Payton and Jim McMahon dressed like Miami Vice, to Christian Okoye as the “Nigerian Nightmare” wearing a bladed glove like Freddy Krueger, they did such a good job at giving the athlete a clever personalized poster. A recent documentary by Amy K. Nelson of SB Nation highlighted the story behind the Costacos Brothers and their popular poster business. It’s very well done and I recommend you give it a watch if you were a fan of these posters back in the day. It has some very interesting interviews with the players today, some funny back stories, and some good behind the scenes footage of the photo shoots.